Back in August in my review of Straight Outta Compton, I predicted that the rap biopic was likely to cause a racial controversy for the Academy Awards because, while the movie wasn”t quite good enough to earn much Oscar love, it was competent enough to trigger feelings of entitlement. As last year’s black complaints about Selma being handed only one Oscar suggested, when the Academy gave the Best Picture award a couple of years ago to 12 Years a Slave, it didn”t succeed in assuaging black demands for a few years as hoped. Instead, 12 Years“ Oscar seemed to convince racial spokespersons that blacks deserve to win Best Picture every year. This ongoing Academy Award ruckus could be instructive. For example, blacks not winning enough Academy Awards is not an actual problem in a numerical sense. For the last generation, black actors have taken home about as many Oscars as their share of the relevant population, but that doesn”t quell their demand for larger and larger racial quotas. It’s not as if African-Americans don”t have enough encouragement from pop culture to become celebrities. That may have been true in the distant past, but it hasn”t been so for a long time. I can recall about 50 years ago watching on television with my mother an uplifting 1963 movie called Lilies of the Field. It starred Sidney Poitier as a black handyman who gets cajoled by sly nuns into building them a chapel. (Hollywood back then loved crafty Catholic sisters, such as those in The Sound of Music and The Trouble With Angels.) The announcer kept coming on to point out that Poitier had won the 1963 Best Actor Oscar for his performance. Did Poitier deserve his Oscar 52 years ago or did the Academy just get in the spirit of the civil rights era? I, personally, enjoyed Lilies of the Field very much when I was 7, but I haven”t heard anybody mention the movie in several decades. Still, 1963 was a down year for movies so the competition wasn”t stiff. The Best Picture winner, for example, was Tom Jones, another forgotten film. In retrospect, the landmark leading-man performance of 1963 was Sean Connery launching the James Bond series. But James Bond movies don”t get acting Oscars; they make plenty of money without them. Black audiences don”t much like the kind of smart movies such as The Big Short that the Oscars encourage Hollywood to make. Blacks like blockbusters and broad comedies with Tyler Perry’s or Steve Harvey’s name in the title. Black viewers watch the Academy Awards on TV if a lot of blacks are nominated and hosting, but don”t have much interest if the host is John Stewart or Neil Patrick Harris. 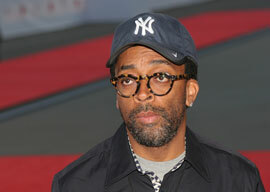 Back in the late 1980s, it appeared that Spike Lee, who was then known as “the black Woody Allen,” would go on to enjoy the kind of career-making, stylish art-house films that the Academy lauds. But that didn”t happen. While blacks don”t much care about the kind of movies the Oscars exist to promote, the Oscars care about blacks. In contrast, no Hispanic actor or actress born in the 50 states has been nominated for anything since 1993, but virtually nobody has noticed. The last American-born actor or actress of more than half East Asian descent was Pat Morita in 1984’s The Karate Kid. Since 1985, actors speaking in foreign languages have received only half as many nominations as blacks and merely five Oscars, suggesting the non-Anglosphere bulk of the world might have a larger complaint. But if they are not going to complain in English, Americans aren”t going to pay much attention. It’s a little hard to determine what should be the appropriate denominator to measure black representation, but I”d say the population of the U.S., the U.K., Canada, Australia, and New Zealand makes the most sense. Performers from the British Isles have made up about 23 percent of Best Actor and Actress nominees since the 1930s. And the lightly populated Antipodes have become a major force in recent decades. Since 1985, 5 percent of acting nominees have been Australian or New Zealander. Blacks make up just under one-tenth of the population of the Anglosphere countries that participate in the Five Eyes spying project, so the Academy Awards have been remarkably proportional to their demographics. As many as 17 percent of Americans say the percentage of blacks is 50 percent or greater. Only 7 percent accurately state that the percentage of blacks falls between 10 percent and 14 percent of the entire population. Indeed, nonwhites hallucinated that 75 percent of Americans were black or Hispanic. I don”t think this is particularly due to blacks or (especially) Hispanics being disproportionately featured in the media. It’s more caused by people being weak at doing arithmetic in their heads.